I am a jeweller and Social Anthropologist. My engagement in Africa began in 1978, when I was a volunteer at the Royal Crown Jewellers in Lesotho in southern Africa. In the 1980s I started research as a Social Anthropologist in East Africa, mainly in Sudan and Kenya. 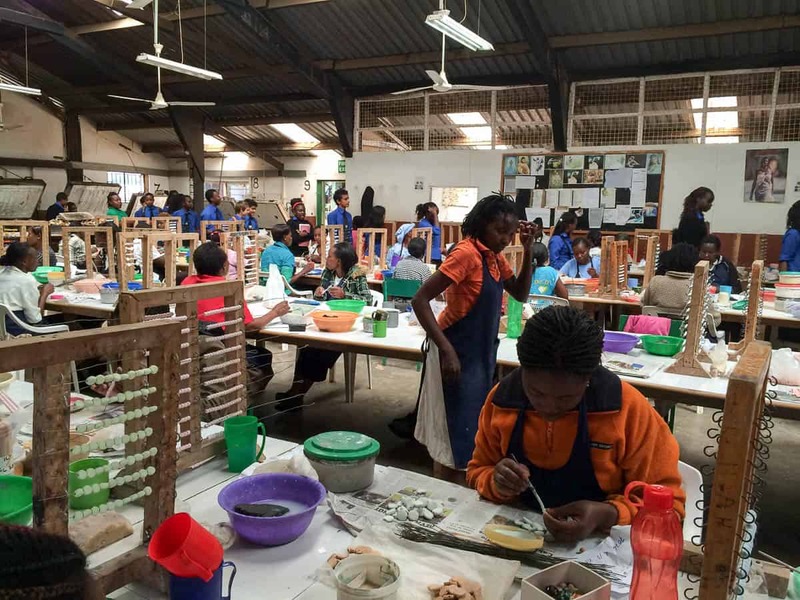 As a design consultant I conduct craft and design workshops in Africa, Asia and Europe since 1994. Jewellery, and in particular beadwork, has always been a medium of human adornment, but it has ever since been more than that. Until today, it is a means of social communication and a mirror of society. East Africa always had and still has a great bead culture, from the beginning of humankind. Before the start of the modern glass-bead trade, hand-made beads from natural material such as ostrich-egg shells, seeds, wood and roots were in use, followed by iron, brass and copper beads. The glass-bead trade from Venice (Italy), Amsterdam (Netherlands) and India, followed by the trade with Rocailles beads (round glass beads of up to 8 mm in diameter) from Bohemia (Czech Republic)—and recently octagonal plastic beads from China, brought about a significant change in style and connotation. Today we find mixed styles of adornment, a cross-over of colourful beads and modern accessories. There seems to be no limit to size and weight when wearing necklaces, bracelets, belts and head ornaments. 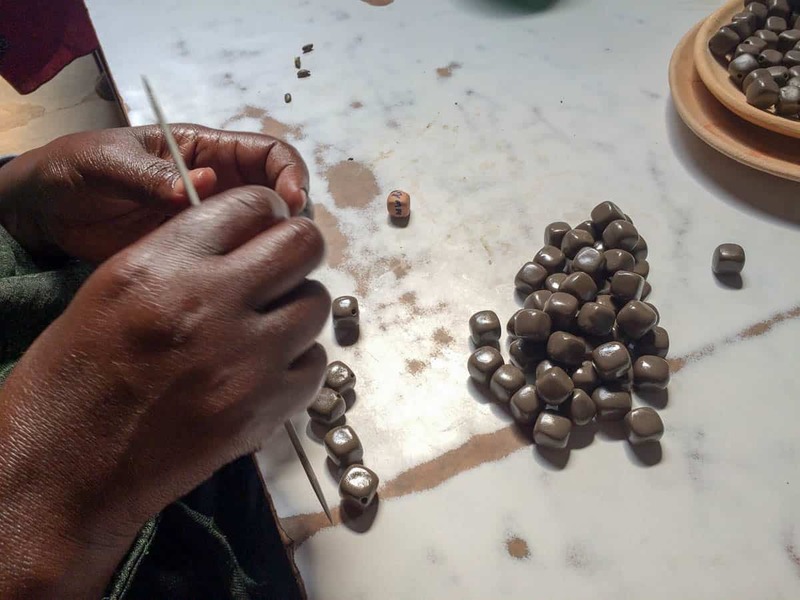 On the African continent (and elsewhere) the passion for bead-jewellery is not limited to tribal heritage, but includes an upcoming local middle-class as well as expatriates and tourists. 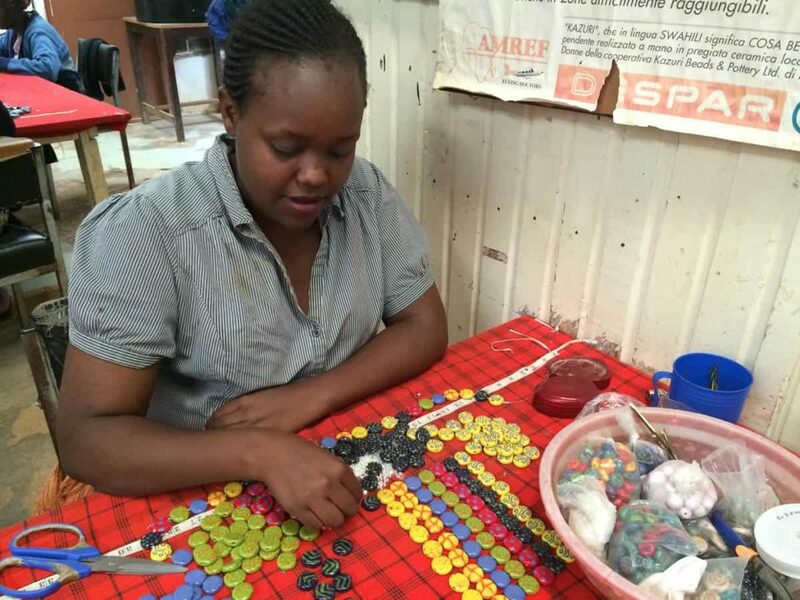 Against this background of a rich cultural heritage in beads, the KAZURI company was founded in 1975 on a small scale by Lady Susan Wood with the social mission of creating income for women. The material of her choice was clay, which was easy to work with and which had great potential for new bead designs. Situated on the former Real Estate of Karen Blixen (“Out of Africa”) in Karen outside Nairobi, the beautiful location is an attractive site for visitors. Visitors are welcomed by specially trained guides who take them around to the production sites through all production phases. 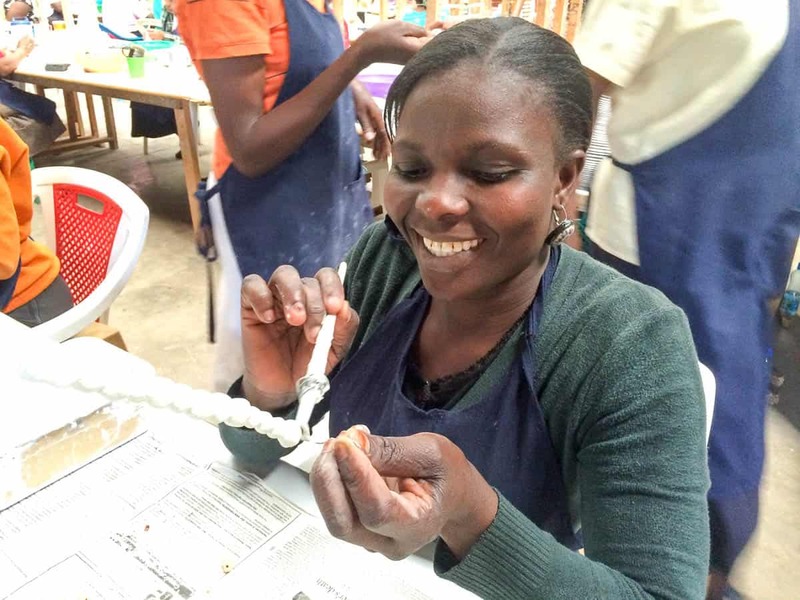 In the well-organised studios one can watch the women rolling the beads by hand in all shapes. 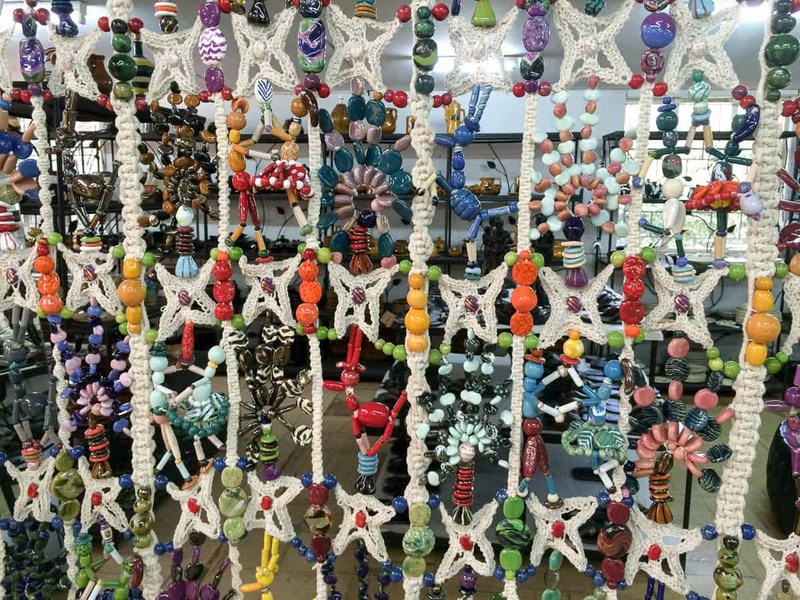 After being fired in special electric kilns, beads are glazed and painted in great varieties, by hand as well, and then strung into beautiful necklaces, wristbands and eardrops. Besides the jewellery, KAUZRI has started a second product line of household ceramics, mainly done by men. The shop attached to the production site offers a great range of KAZURI products at reasonable prices. Hardly any visitor leaves without a purchase, including myself. 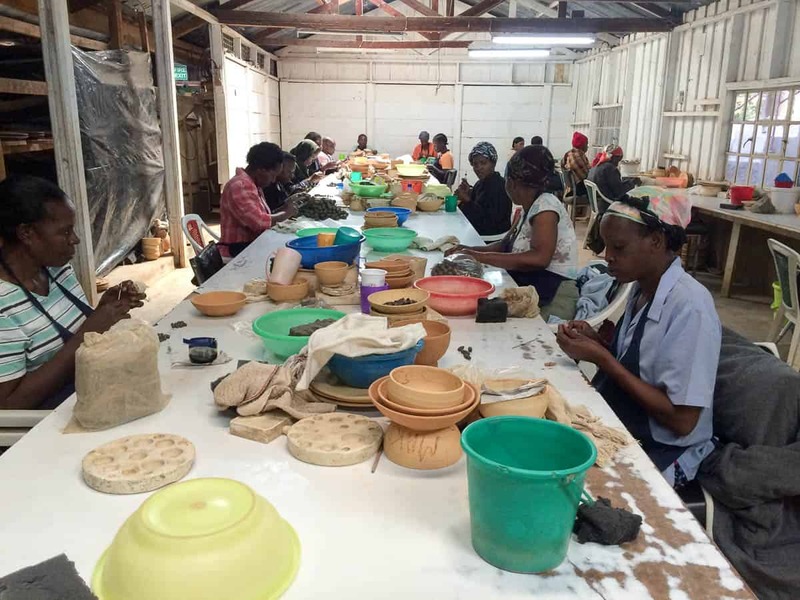 The buyers of the products are mainly Europeans or well-to-do Africans, who appreciate a handmade local product with international chic. I have visited KAZURI several times over the last six years, and also some of the local KAZURI shops in Nairobi town areas. All shops have nice presentations and kind sales women. However, there is a lack of refreshment in bead design and stringing. Being a designer myself, I imagine the potential for new creations without loosing the originality of the brand. Nevertheless it is impressive how successful the company has become over the years. When Susan Wood passed away in 2006, a new ownership and management came into place and expanded the company and trade relations to many places overseas. 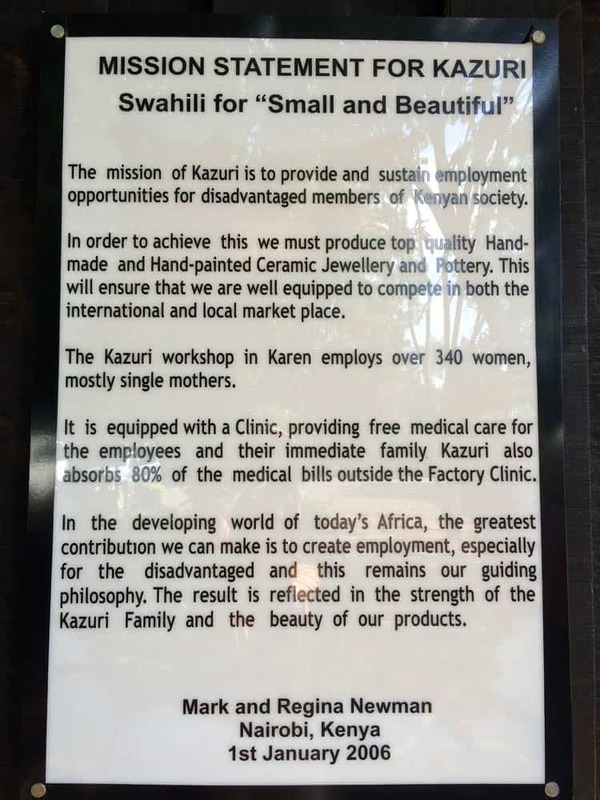 Today KAZURI employs up to 350 people, mainly women.